...and now you don't. 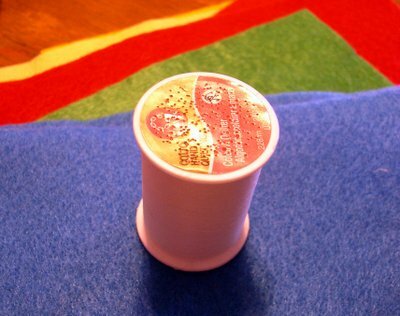 I had that sinking feeling, when I picked up my spool of thread. Where did that needle go? I know, I know, I know I stuck it in the top of that spool of thread, even though I have three perfectly good (no, wonderful) pincushions lying around. So where did it go? I started getting a little panic attack, and then I happened to shake the spool. Peel back the sticker on top. And the big reveal. Whew! The funniest thing is, there wasn't just one lost needle in there! Am I the only one who has ever done this? So, with the needle back in hand, I was able to complete a few more projects for Made for China. 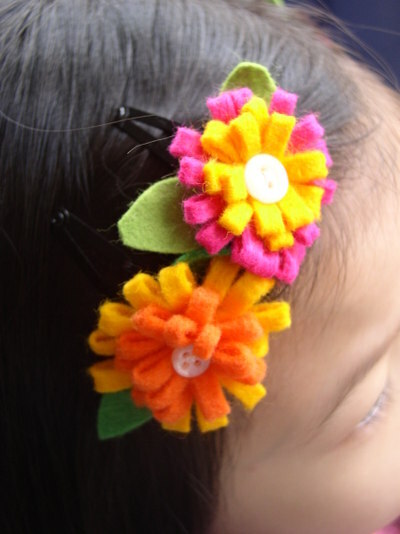 This time, barrettes using some new clips from the 99 cent store, and felt. Spaghetti-Face Becca was upset when she had to take these off, so now I'm set to task making a few more - in pink, of course. Is she ever going to grow out of pink? You are too creative. Those are so cute. I do that all the time. 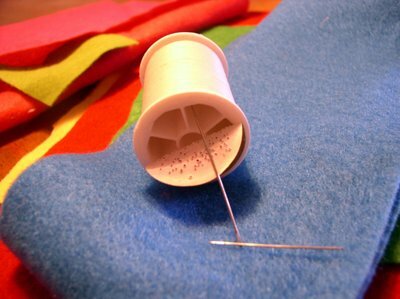 I lose my needles in the spools, and have to do the same thing. LOL! Oh wow, your barrettes are so cute! And yes, I've lost many needles there. You're not the only one - I've done that a million times too!! 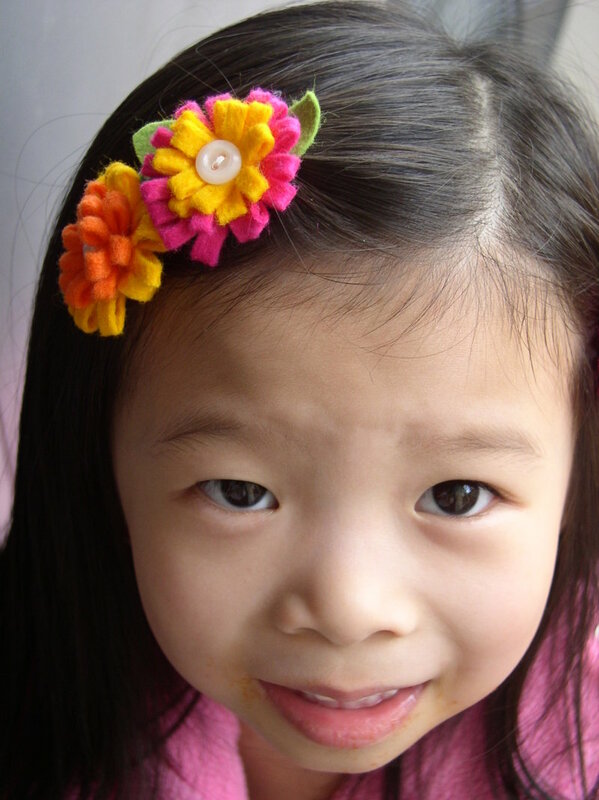 Love the barrettes - and the adorable model! Becca looks so sweet with all the pretty flowers in her hair. SO wonderful of you to make all these great gifts for little ones in China. So funny about the needles. I've done that before! 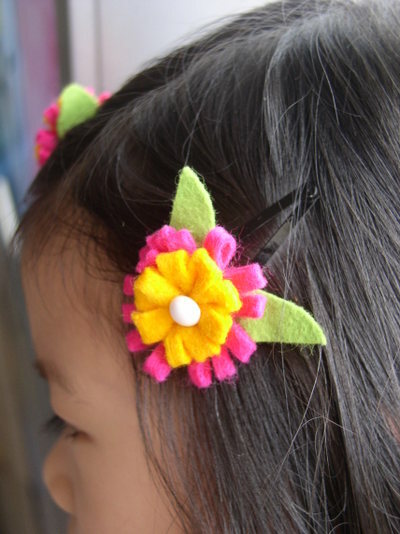 the felt flowers are so adorable! i love them!